Stories of sailors and pirates told of lush tropical islands full of friendly natives, tropical fruits and rich seas. All this and more still exists in St.Vincent. Paradise is defined by the feeling that encompasses you as well as the surrounding beauty. Come find your paradise. One of the lowest crime rates in the Caribbean if not in the world. Imagine a world where people actually tend to look out for one another rather than looking away. Remember the day when a friendly good morning, good afternoon, or good night actually was a genuine greeting followed by a real smile that radiated with what Bob Marley called “one love”. When an islander says “respect” to you, they truly mean it! This is St.Vincent. 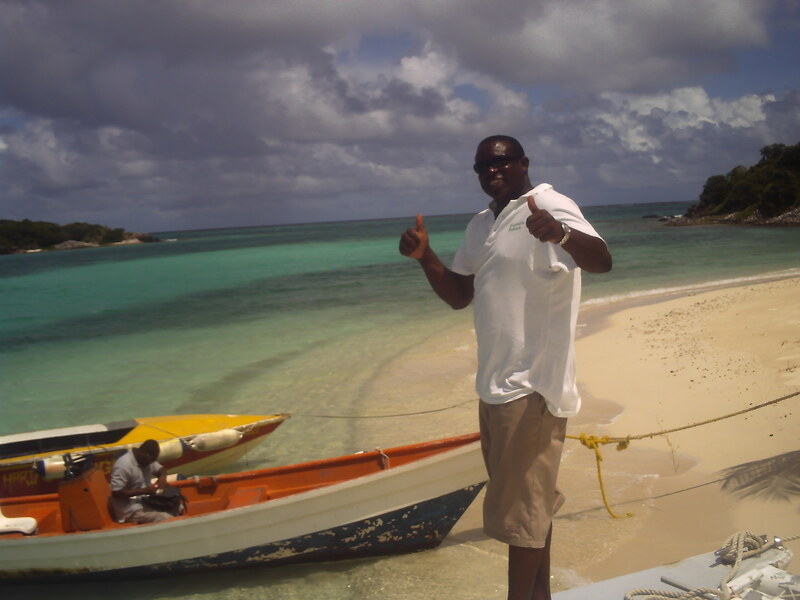 "Captain Barry" in the Tobago Cays marine park. With an exchange rate fixed to the US Dollar at $2.67 EC to $1.00 US you can spend a lot more time here and it will still cost you less money then almost every other Caribbean island. There are no major all-inclusive resorts or roped off private beaches. 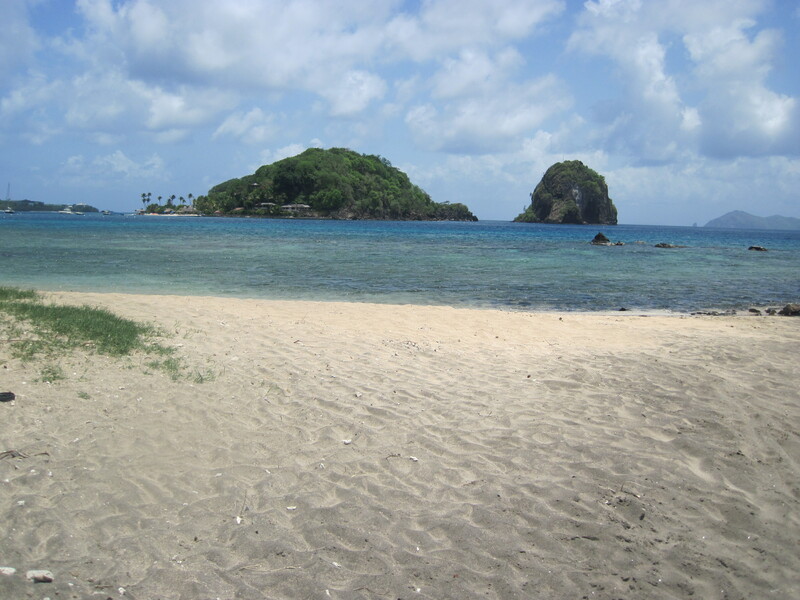 Bring your picnic lunch and a cooler of drinks and find yourself on one of our exotic, empty, white , gold, or black sand beaches, far away from crowds and everyday hustle. 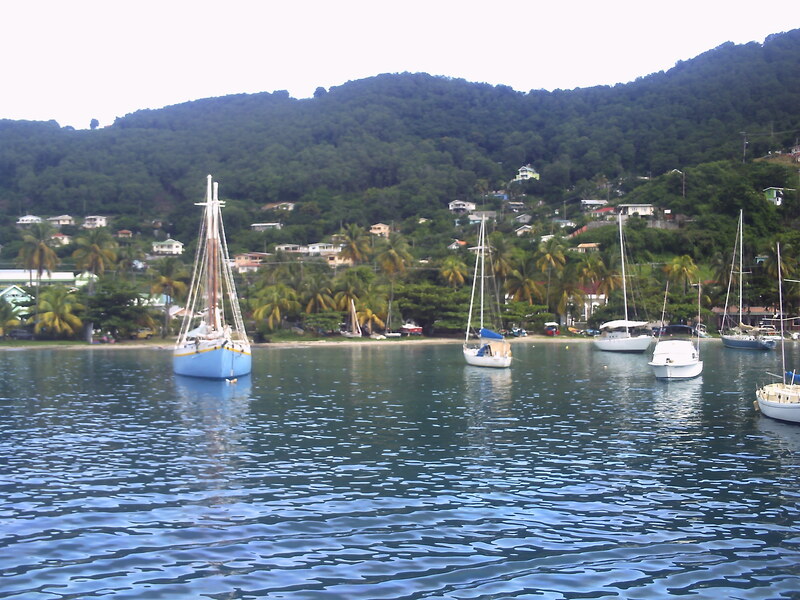 Warm, clear, calm bays at an affordable price. What are you waiting for???? As a live volcanic island we are a growers paradise. St. Vincent supplies the world with the best bananas and coconuts, nutmeg, all-spice, cinnamon, clove, tamarind, arrowroot, mango, guava, passion-fruit, and the list goes on. 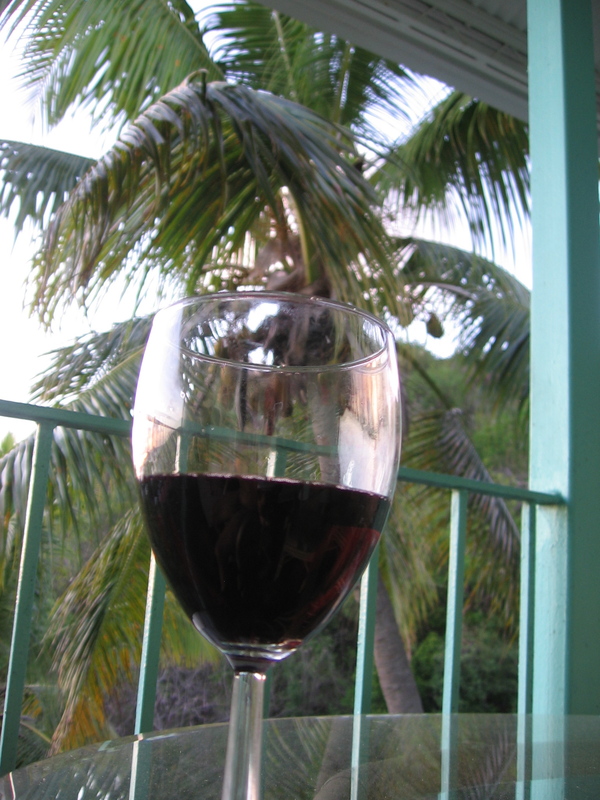 Rich soil and a year-round growing season make St.Vincent the bread-basket of the Caribbean. 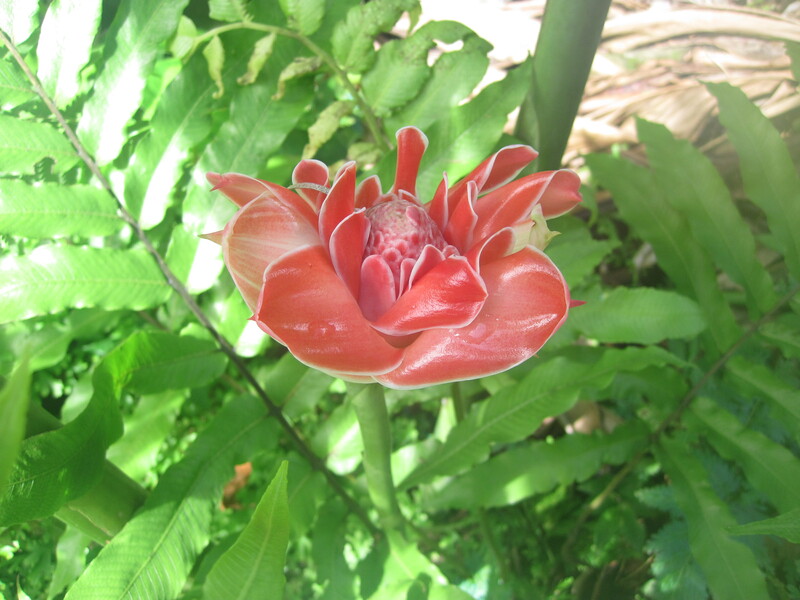 Incredible tropical flowers of every color blanket the island. The average temperature range is from 82F – 89F all the time. 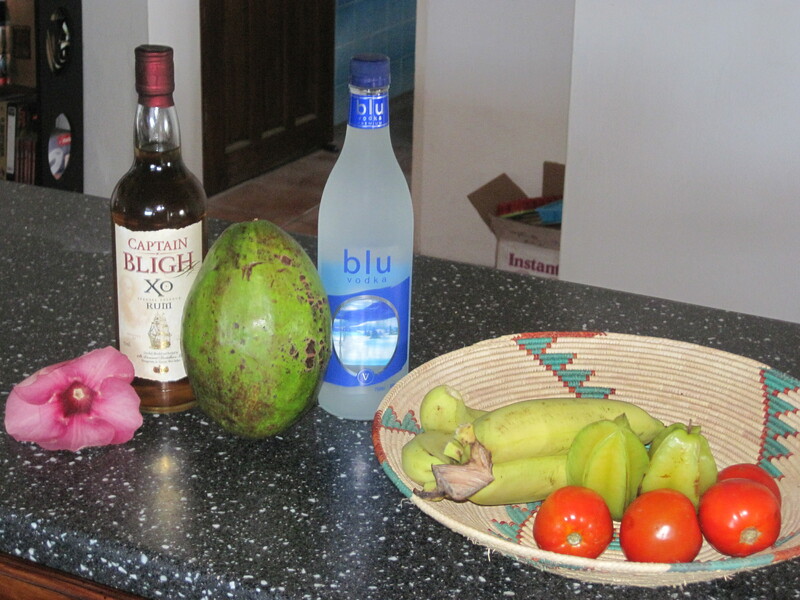 The best fruits, veggies and rum. Christopher Columbus said when he wrote about these islands, the locals are all friendly, beautiful and in good shape. The fruits are abundant and flavorful, and the seabed is covered in beautiful strange flowers of every color. Truly an encompassing land. 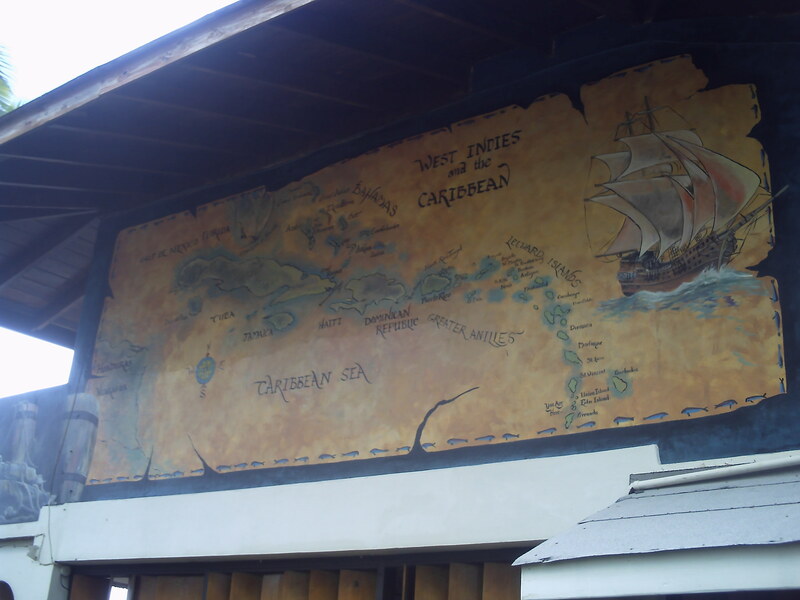 Prior to Columbus the Carib and Arawak Indians from South America ruled St.Vincent driving away the British, French and Spanish and making St.Vincent a safe haven for Caribbean slaves. 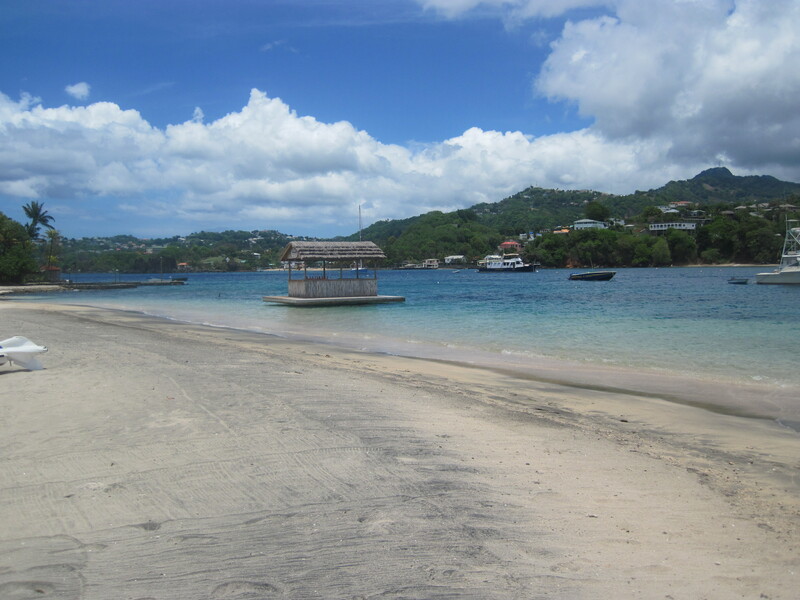 The attitude in St.Vincent is very different from other Caribbean islands for this reason. When the Europeans finally landed they could barely hold the shoreline. 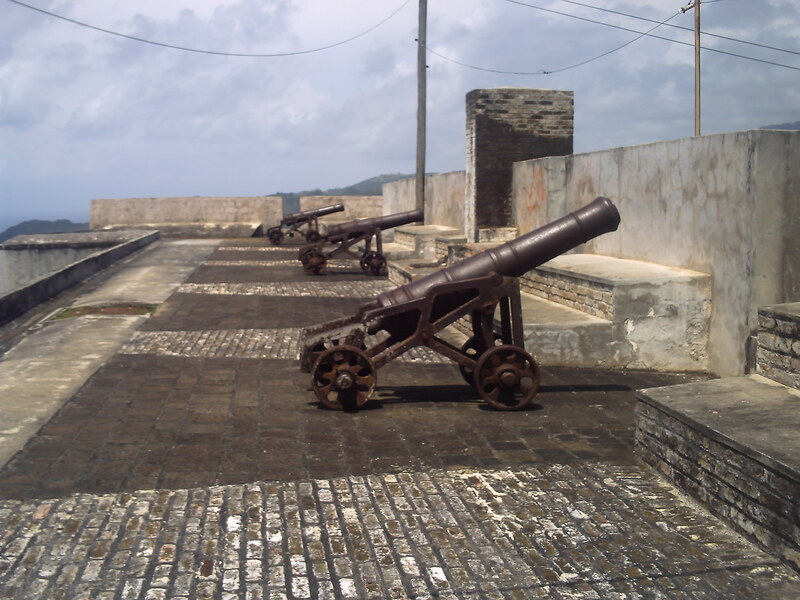 They built a fort (Fort Charlotte) above Kingstown just as it was done on every island and port town around the Caribbean. 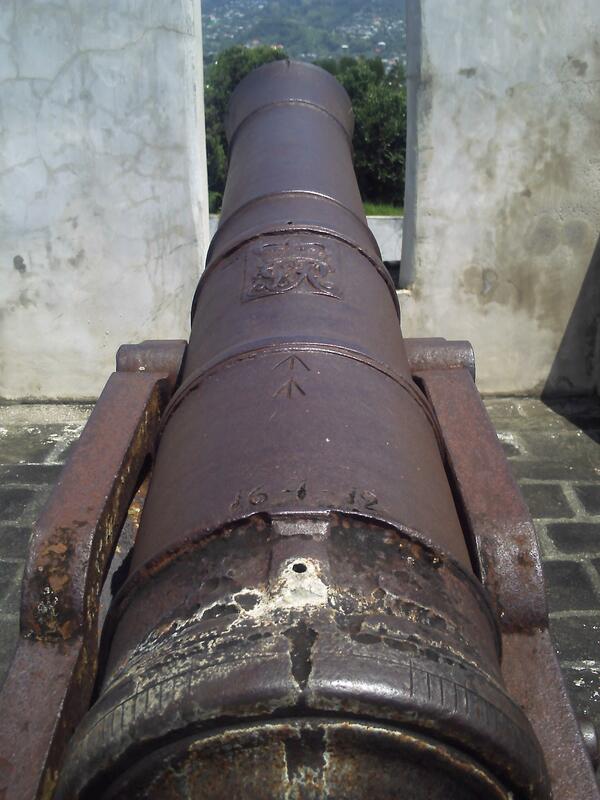 The difference here is, in St. Vincent, the canons point inland because the Indians posed a bigger threat than the pirates and the other Europeans out at sea. South of the hurricane belt, perfect year round. St. Vincent sits 13 degrees above the equator, 100 miles west of Barbados, 23 miles south of St. Lucia, in the southern Caribbean. The warm southern Atlantic Ocean greets the Caribbean Sea in deep channels off our southern tip creating rich, vibrant confluences. The whales migrate through twice a year. Dolphins and sea turtles frequent the area. 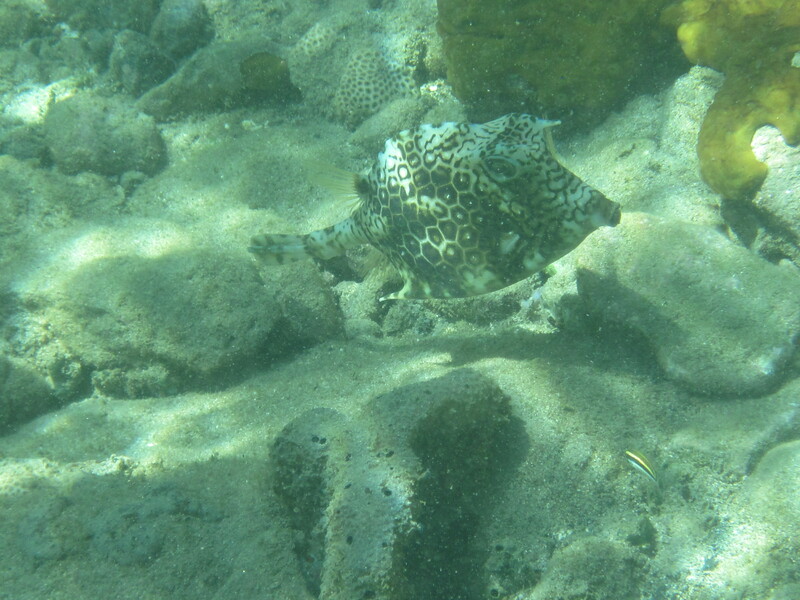 The bays are shallow and clear allowing for a diving, up-close experience with just a snorkel and fins. 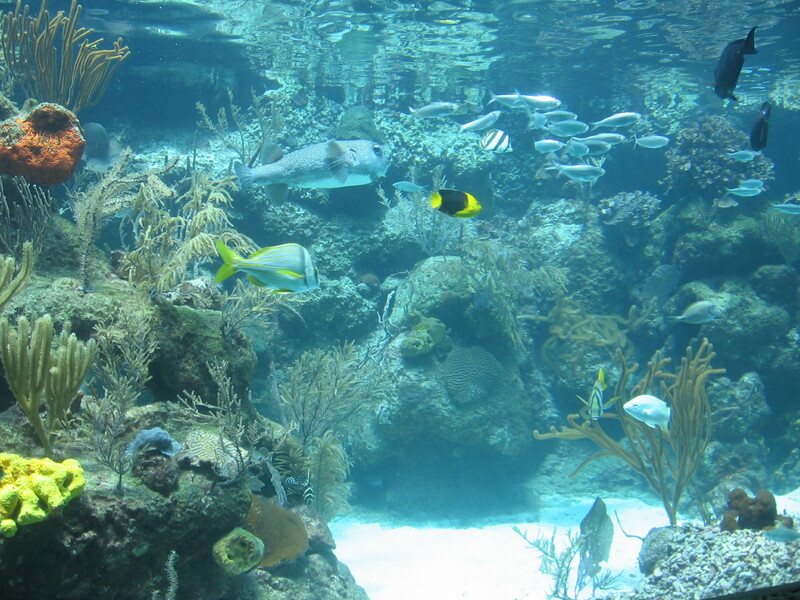 Reefs are rich with life and easily accessible right from the beach. The reefs around St.Vincent are thriving. Southern Caribbean reefs right off the beach. Unlike a lot of other Caribbean islands, St.Vincent is rich with dense rain-forest as well. 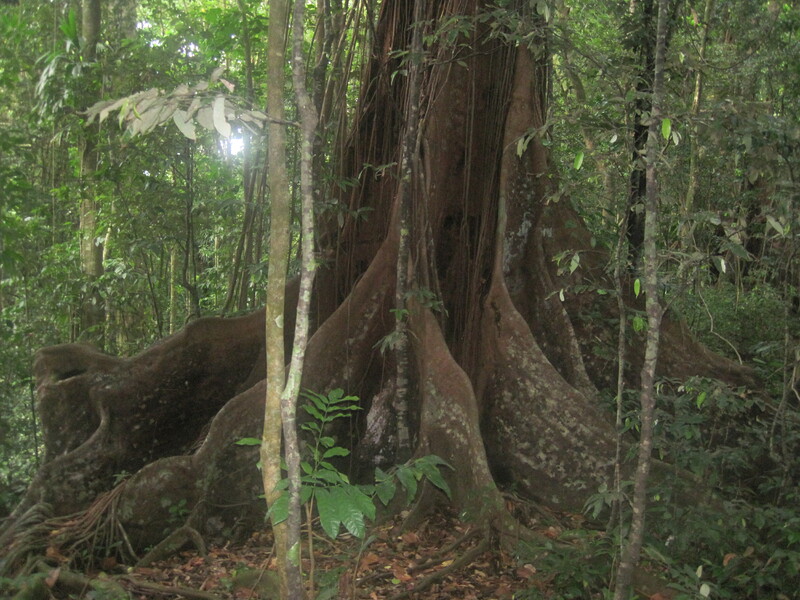 Hikes in the rain-forest provide glimpses of the rare St. Vincent parrot as well as a huge variety of plant life. Chocolate trees, Santanay trees, Mahogany and Teak all canopy over the jungle floor. 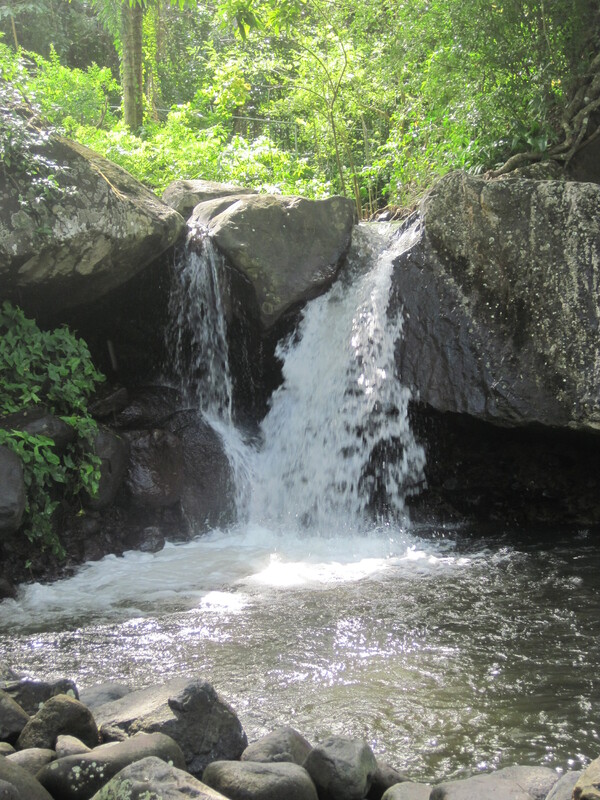 Hidden waterfalls with freshwater pools await. Climb the volcano to over 4000′ for incredible Caribbean vistas. Our mountains protect the leeward side of St.Vincent leaving calm bays full of life while calm, soft breezes dance through the palm trees. 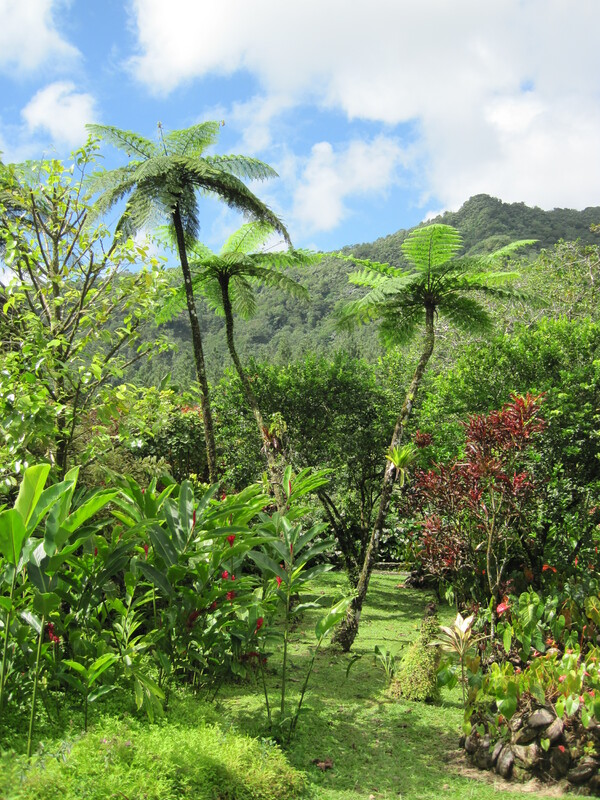 Being south of the hurricane belt and steep and mountainous St. Vincent has been called “Tahiti of the Caribbean”. We are that “One Particular Harbour”. Don’t worry, we have no poisonous animals on St. Vincent. 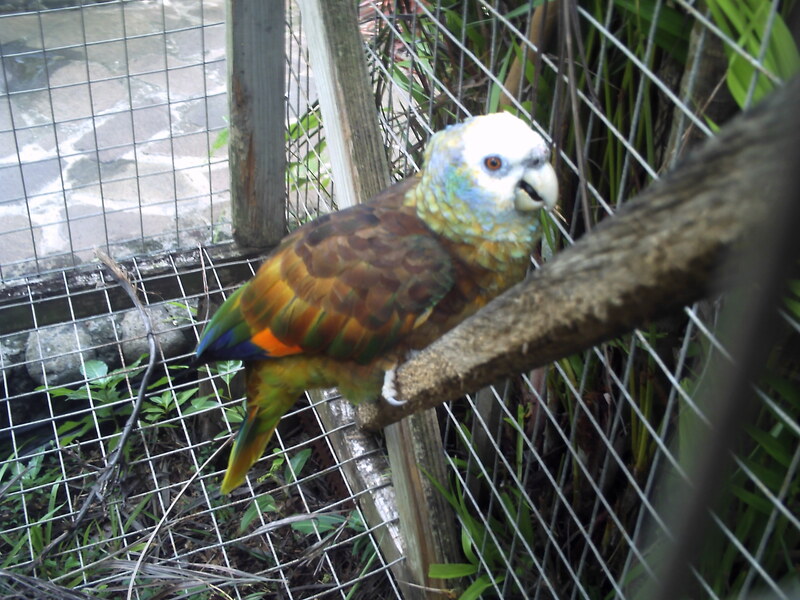 Just like the people and the land the St. Vincent parrot is beautiful and colorful. A jungle lost in time. 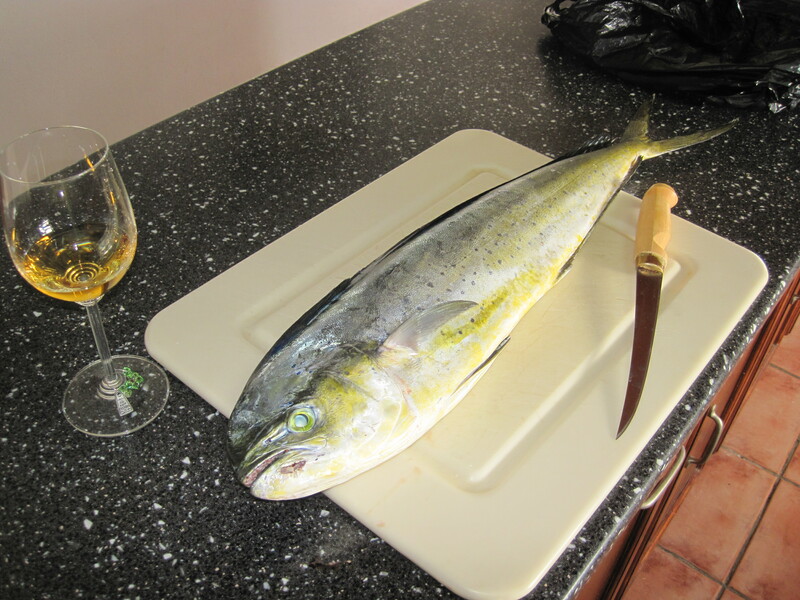 Mahi-Mahi and a nice Chardonnay from Australia. 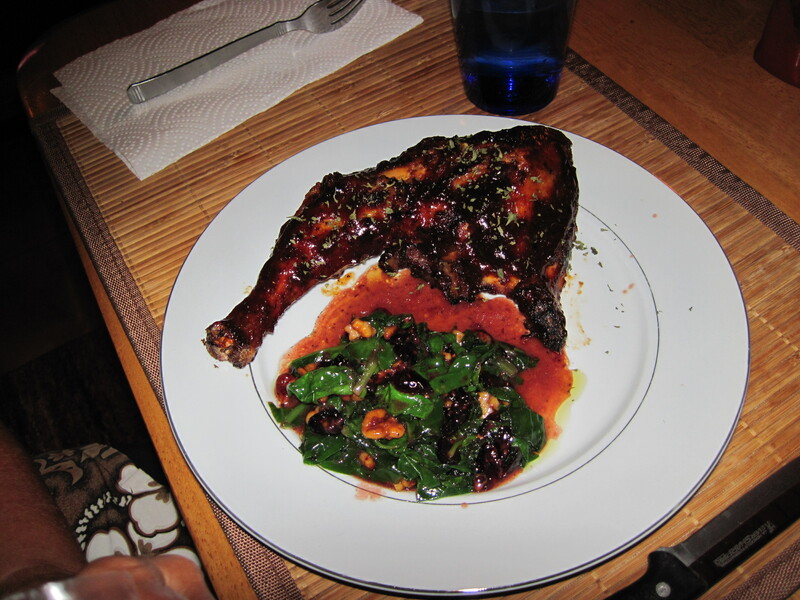 Nothing like island free range chicken. The language on St.Vincent is English. Our drinking water is safe from the tap so fear not, it’s O.K. here. You will find the friendliest people in the Caribbean here on St. Vincent. Healthy, thriving reefs and calm, clear bays. An exchange rate fixed at $2.67 – $1.00 in your favor. Year round paradise. 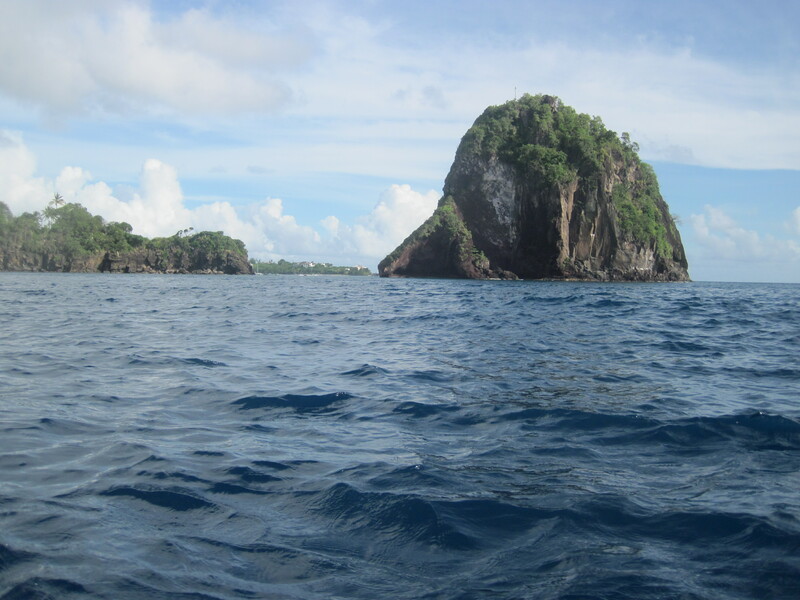 Rain-forest, surfing, sunbathing on empty beaches, fishing, boating, snorkeling and diving. Fresh flavorful island foods and Harmony Hall Resorts proudly offers private catering and full concierge services as well. The question should be WHY NOT HARMONY HALL RESORTS, ST. VINCENT!!! 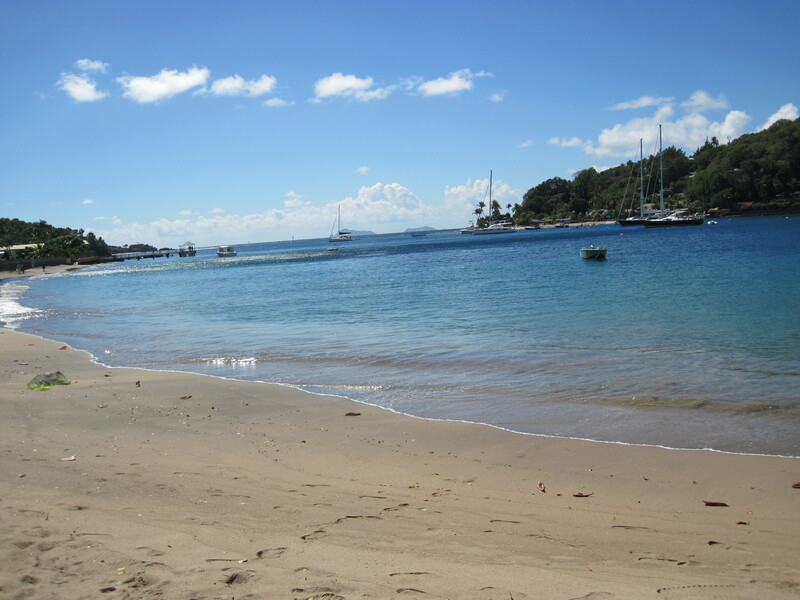 Book Now at Harmony Hall Resorts, St.Vincent – “Tahiti of the Caribbean”.